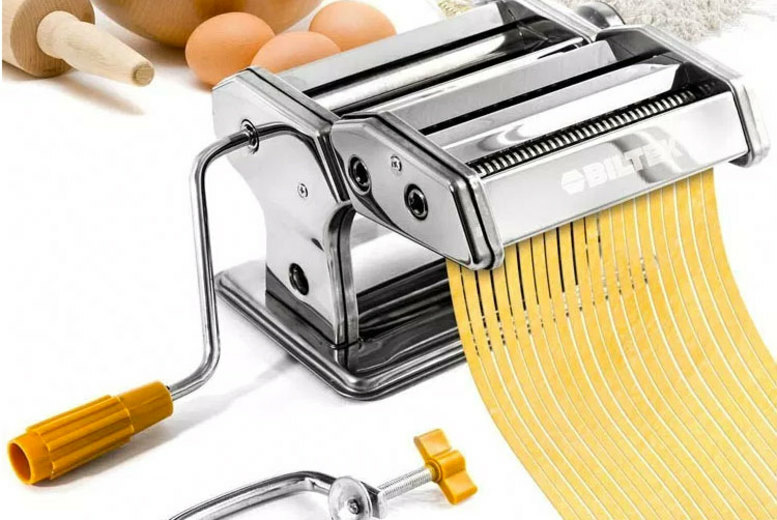 Get yourself a stainless steel pasta maker! Make fresh, homemade pasta dishes like spaghetti, linguine and lasagne. Fully adjustable, with six settings for different thicknesses of pasta. With a double cutter head for making spaghetti, fettuccine and more. Table clamp comes included to hold the machine in place! Comes with a removable handle and is easy to clean.